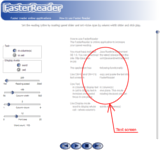 Use Ctrl+C and Ctrl+V to copy and paste the text into text screen in Text presenter. 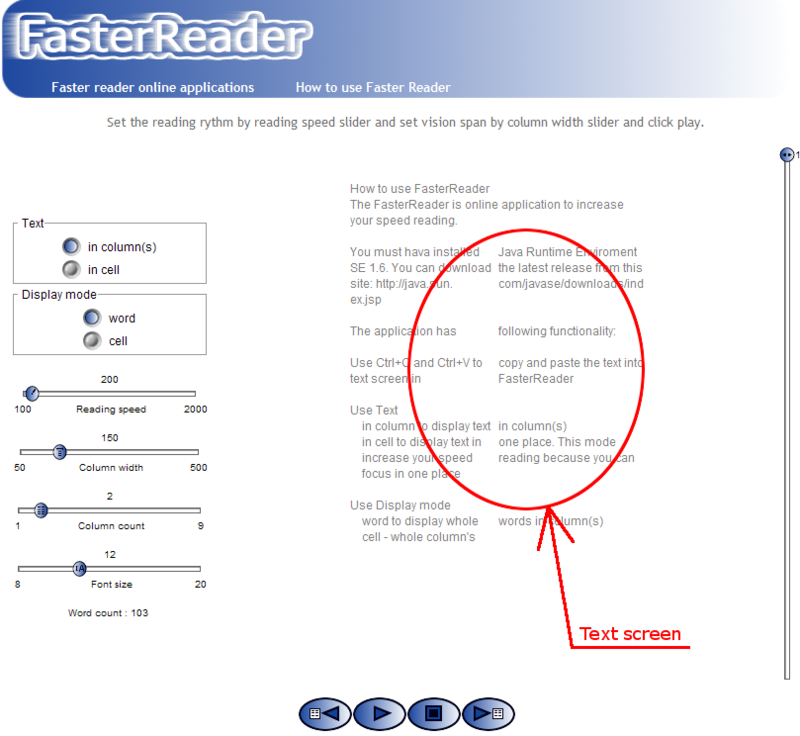 Click the text screen before paste. 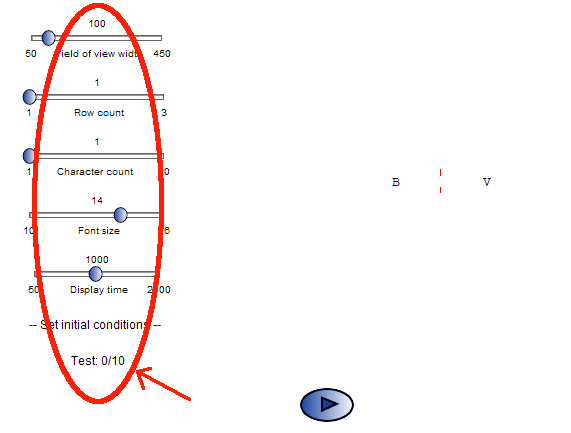 , and then click the button to start the field of view test. After all properly clicks , the displaying sequence is repeated 9 times. 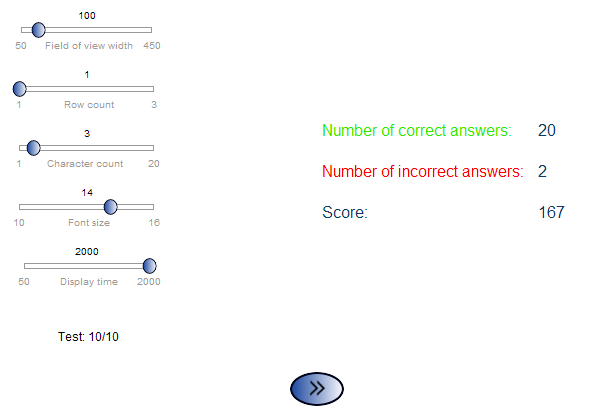 After a sequence of 10 snapshots or after pressing stop button, the result screen will show a summary of the vision and the score calculated on the basis of the algorithm, fr.